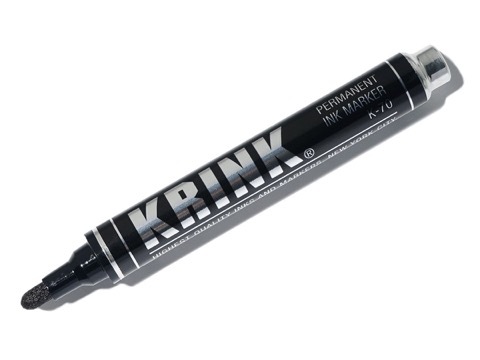 The K-70 ink marker has a durable, 3mm bullet and 5mm chisel double-sided nib. A great all-around marker for everyday use. Long-lasting. Super Black alcohol-based ink is permanent and opaque. High quality ink works well on almost everything. Excellent for use on paper, cardboard, metal, and painted surfaces. Handmade in the USA. Conforms to ASTM D-4236. Prop 65 compliant. Warning: Flammable and may cause irritation. Keep away from children.